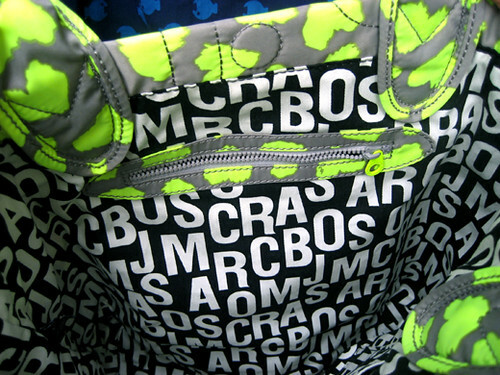 I got this Pretty Nylon Tote by By Marc Jacobs at a sale. 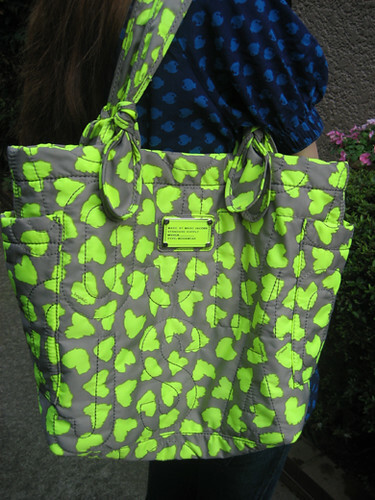 The electric yellow and gray wild heart-print nylon is really impressive. This lightweight bag is good for the summer.